Jake Fry started Smallworks in late 2005 and became a strong advocate for the introduction of laneway housing. 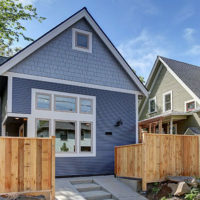 He established Smallworks Studios and Laneway Housing Inc. and worked with the City of Vancouver and other municipalities to help develop zoning by-laws based on his experience and interaction with literally hundreds of potential small home clients. Jake not only wanted to build small but to build sustainable. He brings together a team of dedicated people and develops homes which blend innovative techniques and incorporate modern building science and Flat Pac with hand-built finishes and millwork. “My desire in starting Smallworks was to build simple, elegant modern homes which, with basic maintenance, would look as good a generation after they were built as when they were new.” In 2012, Jake was one of two founding directors of SmallHousing BC, a nonprofit society. 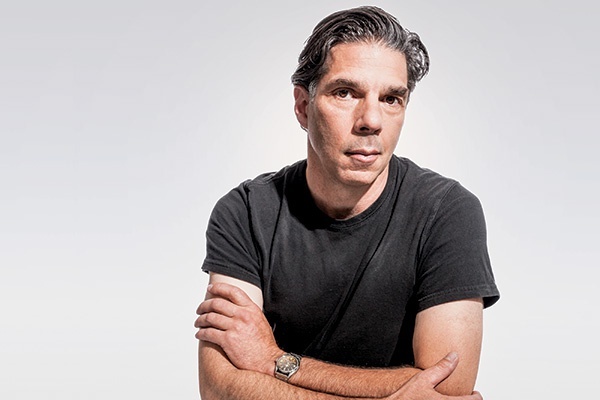 In 2014 Jake was named Ernst & Young’s (EY) Entrepreneur of the Year in Manufacturing. Today, Jake focuses on finding new ways to broaden the range of housing types in Vancouver to create affordable options for single-family home ownership. Wrapping Up An Amazing 2017 Summit! 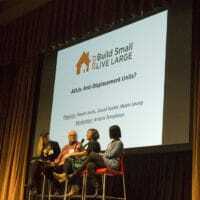 How to Stay Involved with the Small House Movement! 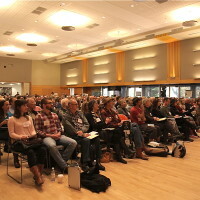 The goal of the Summit is to build on the growing demand for affordable, sustainable homes where people most want to live, and promote a small housing movement where design, cost and care for the environment intersect with the needs of today’s families and urban neighborhoods. © Copyright Build Small, Live Large. All Rights Reserved.